My Mom’s birthday is coming up. 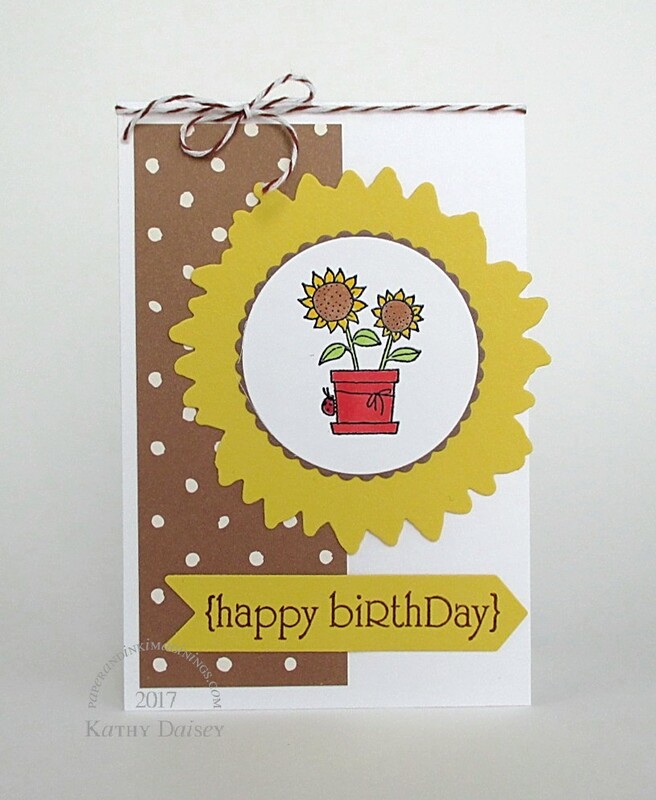 I wanted to use a sunflower, but none of my larger sunflower stamps were what I was looking to use. 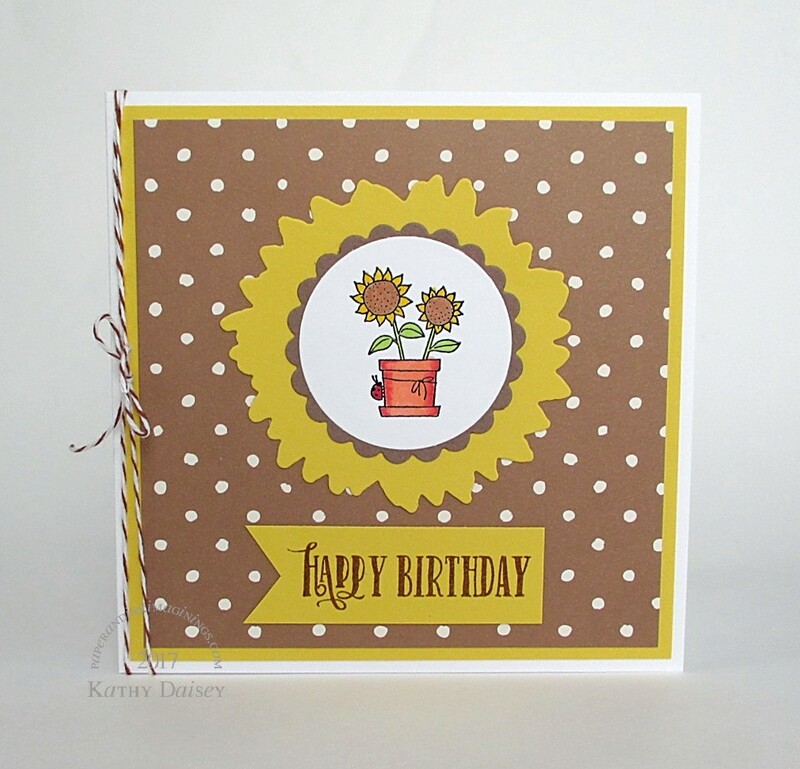 So, I combined a smaller sunflower stamp with the die that fits one of my larger sunflower stamps (and, NO, I can never get the large stamp and die to match up – super frustrating!). In trimming the dotted paper, the scrap that was left was perfect for a note card. Supplies: Stamps – Clearly Besotted, Papertrey Ink, Stampin’ Up!, paper – A Muse Kitchen, Neenah Classic Crest Solar White, Stampin’ Up! Close to Cocoa (retired), Daffodil Delight, inks – Copic E11, E25, R02, R24, R29, YG03, Y18, VersaFine Onyx Black, Vintage Sepia, dies – My Favorite Things (sunflower), Spellbinders (circles), Taylored Expressions (banner), embossing powder – Filigree Fine Art Powder clear, twine – Martha Stewart. Categories: birthday, card | Tags: A Muse Artstamps, card, Clearly Besotted, Copics, Martha Stewart, My Favorite Things, Neenah, Papertrey Ink, Spellbinders, Stampin' Up!, Taylored Expressions, Tsukineko, VersaFine | Permalink.